The European Tour is well into discussion to hold the opening ceremony of the 2022 Ryder Cup in the Colosseum. Located just east of the Roman Forum, the massive stone amphitheater known as the Colosseum was commissioned around A.D. 70-72 by Emperor Vespasian of the Flavian dynasty as a gift to the Roman people. In A.D. 80, Vespasian’s son Titus opened the Colosseum–officially known as the Flavian Amphitheater–with 100 days of games, including gladiatorial combats and wild animal fights. After four centuries of active use, the magnificent arena fell into neglect, and up until the 18th century it was used as a source of building materials. The famed Rome Colosseum – Could be the venue for the 2022 Ryder Cup opening ceremony. Though two-thirds of the original Colosseum has been destroyed over time, the amphitheater remains a popular tourist destination, as well as an iconic symbol of Rome and its long, tumultuous history. 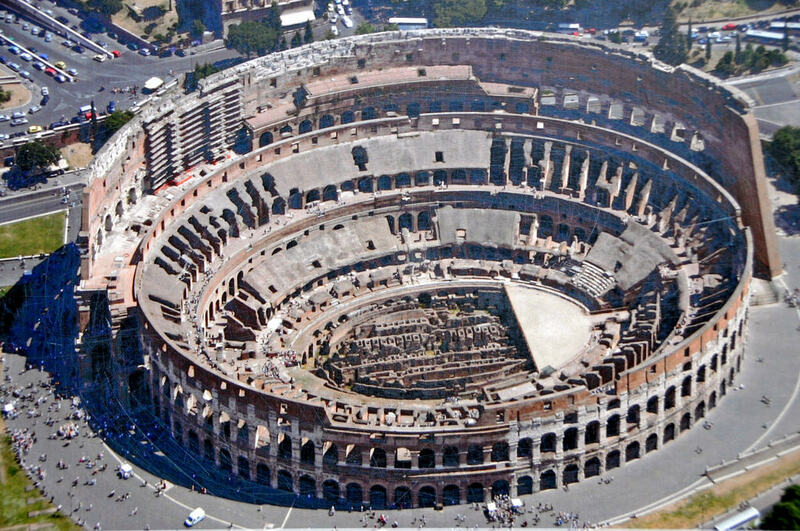 Measuring some 620 by 513 feet (190 by 155 meters), the Colosseum was the largest amphitheater in the Roman world. Inside, the Colosseum had seating for more than 50,000 spectators, who may have been arranged according to social ranking. “There has never, ever been any doubt over the Italian Government’s support of the 2022 Ryder Cup. That has simply been spectulation. We have the constant meetings with the Government and whether or not the Government changes the Ryder Cup will go ahead in Rome in 2022. “I don’t perceive any problems, at all and we are just proceeding. “Lavinia Biagiotti, who is the owner of Marco Simone, is absolutely terrific. She is rebuilding the entire clubhouse. So Italy 2022 is a story that people talk about but in the past week we have had conversations about whether the opening ceremony could be held in the Colosseum. These are serious conversations with Italian decision makers and officials. “So, it is going to be spectacular with the golf course just 11 kilometers from the city and it’s a golf course now that we are able now, and based on the fact that our team is in there redesigning it, we can recreate the amphitheatre we had at Golf le Natonal. “The one thing you will see in Italy in 2022, and opposed to Hazetline in 2016, is that there will see four to six more large video screens. Having the video screens just changed the dynamic of the entire golf tournament in France and that was the size of those video screens. “The trouble with being at Hazeltine with the crowd 15-deep and not being able to see any of the action.